It was the night before Halloween. A play on the radio rattled listeners and made headlines around the nation. My Mom, who was 16 then, listened intently to the 1938 radio broadcast on Orson Welles’ Mercury Theater on the Air. The program on the Columbia Broadcasting System began at 8 p.m. There were frequent interruptions. Among the first was a bulletin announcing that a huge shock “of almost earthquake intensity” happened near Princeton, New Jersey. Orson Welles, who played astronomer Professor Richard Pierson at Princeton Observatory, speculated that it might be a meteorite. The next break in the programming was another bulletin – more alarming than the first. My brother, Hank, and I grew up on these stories. Mom told us about the reactions to the broadcast that night on October 30th. She said what followed shocked many around the nation. People were in fear and panicking. They were calling police trying to find out what was going on. 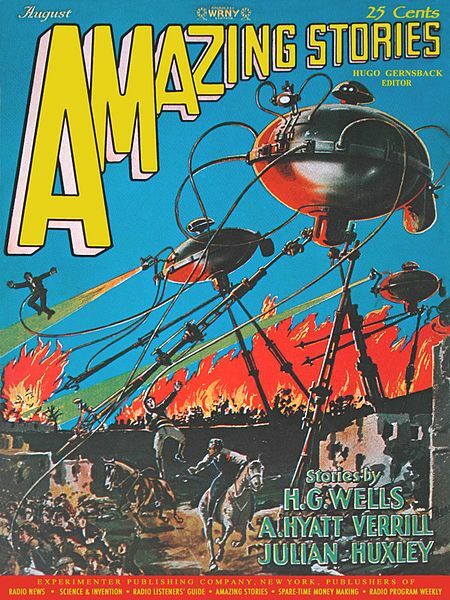 What they were hearing on the radio was Welles’ adaptation of H. G. Wells, “War of the Worlds,” about an invasion by Martians on Earth. Many mistook it for the real thing. Those who began listening after it began missed time references that leaped 2 hours in the play during a span of 30 minutes in real time. “They rise like a line of new towers on the city’s west side,” Professor Pierson (Welles) says of the aliens who he says are crossing the river. Not buying the metal hands of the robotic intruders? We’d like to think that people today are savvier. Perhaps, they’d start Googling Snopes, or some other rumor-checking website, to see if it was true. We might not be taken in by a “Mars invasion,” but many of us today have been duped in other ways via the electronic and social media. “I’m obsessed by the thought that I may be the last living man on Earth,” the professor states matter-of-factly. And all you have to fear is running out of treats and the pranksters who love to play tricks. Boo! My Mom used to talk about this too. While the invasions of Martians sounds far-fetched, this play tapped into the collective fears of those worried about war. It aired less than a year before World War II officially began with Germany’s invasion of Poland in September 1939. Oh, Judy, my mom’s sister was living in California when this happened, but she was in Pennsylvania as a bridesmaid for an 8 o’clock wedding when this happened. There are so many re-told stories about the caterer’s helper who was in the reception hall arranging flowers around the base of the cake as he listened to the radio. Supposedly, he announced the terror to the kitchen staff first, and many hightailed it to go home, and so it went, on and on. The bride and groom and several of the wedding party stayed at her parents’ house instead of risking going to NY, and the bride’s father and the groom drank too much and got into a fight, and so on. My aunt supposedly renamed that evening, The War at the Wolseys’ House. Marilyn, what a wonderful story – not for them, of course. But the happenings your relatives experienced do show just how scary that play was for listeners back then. My Mom grew up in Pennsylvania. From her stories, I knew people were really frightened. I just wish she was here with us to provide more of the details even though my brother and I heard about this incident many times over the years. Judy: You probably already know this, but apparently one reason everyone was so spooked was that a lot of them had been listening to the Edgar Bergen-Charlie McCarthy show (which was a big hit in those days — yes, a ventriloquist on radio. Go figure). Anyway, after the opening bit of repartee, a musical act came on (I recently read it was Nelson Eddy),* causing many to switch to the Welles show without hearing the opening disclaimer. 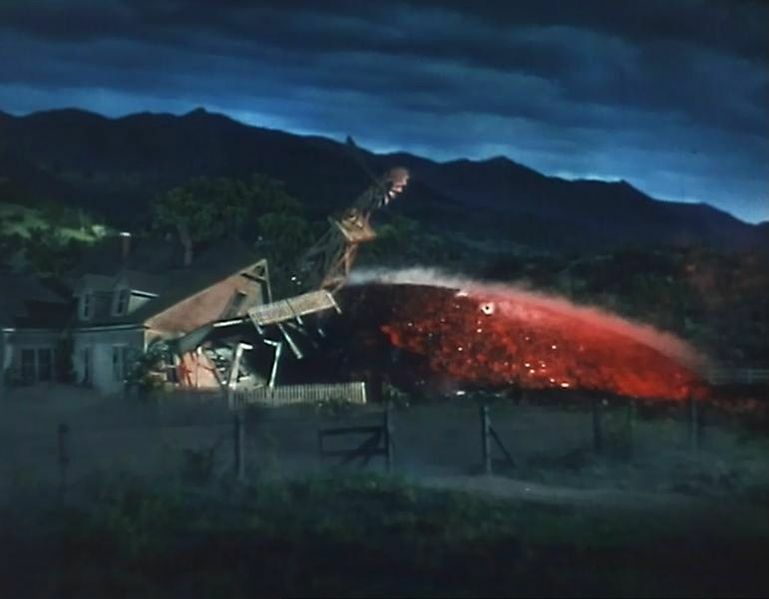 A very good mystery writer named Max Allan Collins wrote a charming mystery called “The War of the Worlds” murder, which takes place at CBS as the Mercury group gets ready for the broadcast. If I can find my copy, I’ll be happy to send it along. As a former radio person, you might enjoy it, and Collins, who has written a number of historical mysteries, knows his stuff. *Some might argue that Nelson Eddy was even scarier than Martians, but I’m not going there. Then again, I guess I just did…. That explains a lot, Mark. I did listen to the play in its entirety. The first announcement (in the link above) that this was a play was about 39 minutes into the 57-minute program. I’m speculating that was done to ease the panic that many felt and CBS had insisted that the Mercury Players make it clear that this was only a play. Some reports I read tried to minimize the terror that many felt. I am fascinated by aliens too although I can not imagine being a part of something like war of the world movie. That is a scary reality if it happens. Happy Halloween! Orson Welles really pulled the ultimate “trick” the night before Halloween. A DJ that I once worked with told me he plays this story every year at this time. The tale certainly should put you into the spirit of the season. Happy Halloween to you and your family. See, that’s why I blog. So wonderful to hear someone whose mother actually experienced this landmark event in the history of radio broadcasting. It’s a broad, broad world, the blogosphere. Thank you, Judy. Fabulous post. Glad you enjoyed this post, Kate. I can remember my Dad talking about this, he was age 10 in 1938. I found it baffling then when he told me about it, that anyone would have believed it was real. And listening to that recording now (thanks for that, I’ve not heard it before, only little small clips) I’m still baffled that people believed it was actually happening – it does announce what it is at the beginning! But maybe, many may had missed the beginning, that would make more sense of the confusion perhaps. I think we’re taken in today by things that many others are astounded by. Ads that proclaim we can look 10, 20 or 30 years younger just by using this fantastic cream … or just by purchasing expensive sneakers that we will run faster and jump higher. We shake our heads in disbelief when we think of how so many people were terrified of a radio broadcast. But you’re right, Judy: We fall for all kinds of hoaxes and claims that, looked at objectively, seem ridiculous. I started thinking about this story and the hysteria behind “Monsters Are Due on Maple Street” by Rod Serling. His inspiration for the story was Sen. Joseph McCarthy’s and HUAC’s investigation of folks believed to have Commie ties. Political scare tactics, financial hoaxes, advertising claims … many just swallow the comments whole until they wise up. Then, perhaps, they’re more skeptical of wild claims in the future. Thank you for your comments, Charles. Happy Halloween – Boo! I know we all like to think that we wouldn’t be taken in my a modern day version of this, but I really think most people would. I agree with you that we all buy into advertising that promises all kinds of crazy things. OK, maybe it’s not fair to say “all” but certainly a lot of people do. This was just an entertaining play that did its job … scared the living daylights out of folks. But, you’re right, Amy. Promises, promises do lure us in. I’d like to think I’m more skeptical, but I know that I’ve been taken in at times myself. October is monstober too and aliens top the list! A testimony to the power of mass media! My husband was born 4 years after the broadcast and recalls, all through his childhood, his Chicago-based family (grandparents, aunts, uncles) talking about the terror and how many people were duped. Scary times, for sure. Tracy, I can see why this story captivated and terrorized so many at that time. Just how did Orson Welles pull the scam off? I think the timing was right for a scary story. A real one consumed them … the possibility of war. Hitler took over Germany in 1938, the same year this play was broadcast. It should serve as a cautionary tale for folks to be more skeptical. But the lesson is lost on some. 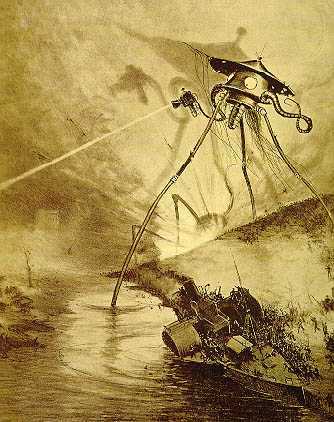 Jeff Wayne’s musical version of War of the Worlds, which was very big in the 70s, was one of the first albums I ever bought. I read the novel and a few others by Wells around that time — must revisit them. I don’t know how far this story reached, but it sure shook up a lot of folks stateside. Glad you enjoyed it, Madhu. I knew about this event, but only in generalities. Thanks for filling in the blanks for me. I can’t imagine how I would have felt since I don’t live far from Princeton. I probably would have been freaked out too. None of my relatives lived in the area at the time so I don’t have any firsthand accounts to share. Well, I hope he enjoyed it. I’d love to hear his reaction. The radio play might be of interest to him. Thanks for your comments.